With the introduction of a carbon tax in Australia and growing awareness of the need for more environmentally friendly exploration and mining practices, now more than ever the country’s mining industry needs to work smarter and more efficiently to ensure its future viability. Australia’s Commonwealth Scientific and Industrial Research Organization (CSIRO) is at the forefront of developing a range of technologies that can assist the industry improve its competitiveness and environmental performance. CSIRO’s Minerals Down Under Flag-ship works across the minerals value chain to deliver science and technology solutions that will help grow Australia’s resource base, increase the productivity of the minerals industry, and reduce its environmental footprint, both in Australia and globally. The flagship’s director, Jonathan Law, said CSIRO is working with industry partners to develop technologies that assist the industry and also deliver positive flow-on effects into other challenging areas. It takes a long-term view of the mining industry in Australia so it looks at the challenges in 10 or 15 years rather than the short-term challenges of today. It has the freedom because of the government investment and its resources to take the long-term view and work on technologies that will be important but that can’t be delivered in a two- or three-year timeframe. It has a very strong engagement with industry on a day-to-day basis, working on the operations and issues faced daily. About 50% of the revenue comes from industry and CSIRO works closely with this sector, which makes sure it is aligned with what the current challenges are. The mining industry is global and CSIRO’s work is also important at a global level. “Many of those we work with in Australia are global miners looking to deploy technologies around the world,” Law said. “Because many of the challenges the industry faces are shared globally and not particularly conducive to economic competitiveness, many countries are happy to work with Australia to develop solutions that are generally good for the industry,” Law said. “There’s a whole range of factors, like productivity, energy and water, that have the potential to drive the industry out of business, and people are generally happy to share technologies in that space. Law sees Australia’s role in mining technology growing in the future. With the coal industry being a major contributor to the economy of New South Wales (NSW), it is important that coal exploration and mining continues to serve the state in terms of revenue, jobs, value-adding and provision of fuel for power generation. However, with increasing legislation regarding emissions and the environment, the new carbon tax, and with many coal mines being close to urban areas and prime agricultural regions, the need for the industry to develop in a sustainable and environmentally-friendly manner has never been more important. 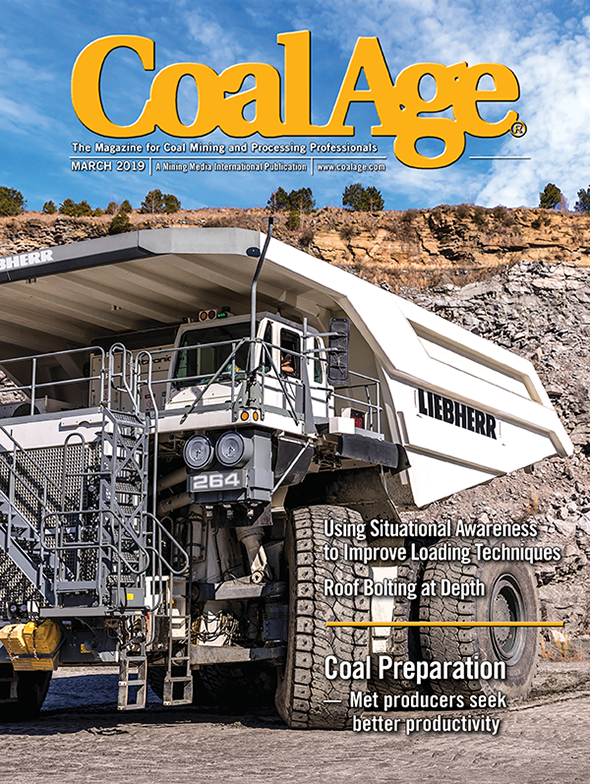 Operators in the state’s coal mining regions are embracing technology in all aspects of exploration, development, operations and post-mining. 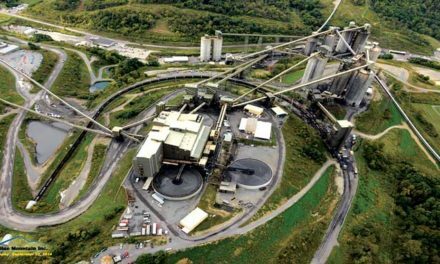 At least one coal miner is reducing the potential for long-term environmental impacts through innovative mine design, recognizing that the benefits of smarter mine planning include energy efficiency, better water management and less noise pollution. When Centennial Coal was in the planning stages of a new mine near Lithgow in the state’s Central West, the company wanted to develop it according to the highest standards. Through site layout, design and construction, Centennial aimed to produce an operational mine that would have minimal impact on the surrounding community, environment and visual amenities of the region. Energy efficiency was a priority in designing Centennial’s Airly mine site and techniques were incorporated to reduce greenhouse gas emissions. Careful consideration was also given to working out how to reuse and recycle as much water on site as possible. At its Metropolitan mine south of Sydney, Peabody Energy Australia developed an innovative way to store waste rock from the washing of coal in disused underground workings. Waste rock from Metropolitan had been used to support town infrastructure in the construction of sports fields and netball courts. From the mid-1990s the waste rock was transported to an off-site facility, but this created environmental issues of noise and dust as the trucks went through a nearby town. Peabody is now storing the waste rock in old underground workings and eventually won’t have to truck the waste away from the site at all. Since May 2011, a trial has successfully recycled thousands of tonnes of coal mine rejects underground. This technique has been recognized for its benefits to the environment and the community, and was a joint winner of the NSW Minerals Council’s 2011 Environment and Community Excellence Award. A number of Hunter Valley surface mines are now using planes to seed overburden from the sky, growing temporary vegetation over these large areas to bind the soil together and reduce the amount of dust generated from overburden in dry and windy conditions. BHP Billiton’s Mt Arthur mine near Muswellbrook and Coal & Allied’s Hunter Valley Operations and Mt Thorley Warkworth mines have all conducted these seeding and fertilization trials, which have proved encouraging. Coal & Allied’s aerial seeding program has covered almost 800 hectares. A local agronomist helped select a blend of 13 different vegetation species to be grown including ryegrass and inoculated legumes like clovers. The same company is involved in a commercial forest plantation trial near its Hunter Valley Operations mine in partnership with Forests NSW. The Hunter Valley experiences small annual rainfalls of 600-700 mm with low tree growth rates due to lack of rain and relatively poor soils. This trial will indicate whether a commercial size forest in the region can be achieved. Around 80,000 eucalypts have been planted since the trial started in 2007 and promising results have been achieved with high survival rates of the trees. The plantation will provide ecosystem diversity on what was previously grazing land. It also has carbon offset potential, with the forest expected to sequester around 20,000 tonnes of carbon dioxide. Trial results of have also been shared with a Chinese delegation to promote development of forest carbon sequestration in China. Coal Services’ Virtual Reality Technologies (VRT) unit recently won the 2012 Simulation Australia Award in the Project Innovation category. The VRT simulator allows mine workers and operators to train for potentially dangerous tasks in hazardous environments, helping to dramatically improve workplace safety. The annual Simulation Australia Awards recognize individual, research based, technological and project based contributions, in the field of simulation, in Australia. Coal Services’ Bruce Dowsett and Matt Farrelly accepted the award on the company’s behalf at an event in Adelaide, South Australia, in June. The Third Generation (3G) VRT unit works in conjunction with other Coal Services’ business units, such as Mines Rescue, to provide virtual learning environments for trainers to incorporate into training courses. It offers advanced training for mine workers and operators who are required to perform potentially dangerous tasks often in hazardous environments, without the risks of injury. Through the use of virtual reality in industry training, Mines Rescue and VRT have been able to make a positive contribution to the New South Wales mining industry’s emergency preparedness and emergency response training. The technology can ensure quick and easy transfer of trainees from a virtual environment to a real work site with minimal disruption and no downtime. Scenarios can be repeated with the press of a button with flexibility to vary their location within the mine which ensures ongoing relevance of the VR training tool for refresher training. Coal Services received an overwhelming response from the United States and China for tours of its facilities and guidance regarding the implementation of equivalent hi-tech training systems. The Simulation Achievement Award, which recognizes outstanding personal contributions to Australia’s simulation industry, was presented to Shawn Parr, CEO of Calytrix Technologies. Parr’s 20 years in the simulation business began with a senior research post at the Software Quality Institute. A tireless supporter of the Australian simulation industry, and active in the simulation community here and abroad, he is today the CEO of a unique company that exports Australian simulation products to more than 15 countries. A collaboration between two Australian coal sector leaders has resulted in the launch of the first specialized operator induction program to address a shortfall of skilled coal industry workers. Mines Rescue, which is a business unit of Coal Services, and UGM Australia are focusing the new CoalStart program on providing miners with greater hands-on experience at an actual mine site at Teralba in New South Wales. CoalStart aims to improve the safety and efficiency of new entrants into the industry by getting them work ready with the help of the latest virtual reality simulation technology. This enables unparalleled detailed familiarization of onsite operations, the mining environment, common hazards, routine tasks and equipment. “The CoalStart program is an important initiative that will effectively serve the changing needs of the NSW coal mining industry. The first class training facilities will ensure new miners are both work safe and work ready—crucial to supporting the health and safety of the industry,” said NSW Minister for Resources and Energy Chris Hartcher. Mines Rescue has been servicing the NSW coal industry since 1926, using the most modern facilities and equipment and qualified, experienced trainers. It is a recognized leader in safety procedures within the industry. Ludowici Australia’s new screen motion analyzer checks vibrating screens are operating correctly by assessing vibrating stroke, lateral displacement and operating frequency. These are the parameters to ensure screen performance and efficiency are optimized. 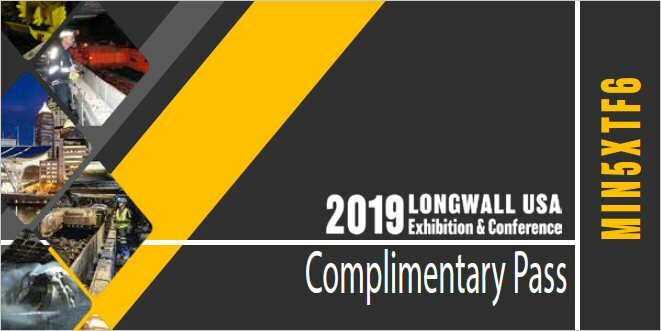 Ludowici developed the commercial product from a prototype after the concept was first initiated a decade ago by CSIRO Energy Technology under a Coal Association research program to improve preparation plant vibrating screen performance. The resulting analyzer is lightweight and portable. The screen motion analyzer is user-friendly, does not require specialist training to operate and can be used safely without impacting production. It is fixed to the screen using magnets, records vibration simultaneously in three directions (horizontal, vertical and lateral), and sends vibration data to a Smartphone via Bluetooth. The unit calculates and displays screen operating frequency, vibrating stroke and lateral displacement (pk-pk), and can save files for further analysis. The company is getting a lot of interest and very positive feedback from the industry, confirming the device is user-friendly and able to be operated without great levels of expertise. MICROMINE, a leading provider of intuitive software solutions to the mining and exploration industry, has again positioned itself at the forefront of technical geological development through its involvement in a coal data standards project, which resulted in the recent release of ‘CoalLog’ Version 1, a Borehole Data Logging Standard for the Australian Coal Industry. The standards were initially developed by senior GeoCheck staff Andries Pretorius, Gary Ballantine and Brett Larkin, followed by the collaboration of major mining and software companies. MICROMINE’s Geobank data management specialist Ibo Mango has been a member of this collaborative panel since its inception. Early involvement in this project, titled the ACARP Project C21003, has enabled MICROMINE to invest considerable time in the development phase of producing a solution to meet the requirements for Borehole Data Logging Standard for the Australian Coal Industry. Over time, data formats and coding sheets have been integrated into the technical workings of geological records. In some instances, more than 30 different data formats are used and more than 100 different dictionaries for the Australian coal industry. Consequently data is often flawed, leading to numerous inconsistencies. There has been considerable pressure on the industry for this data to be standardized and a Coding Standard to be established. “Being involved in the coal panel is really important to me, like so many of my colleagues, as for so many years my coal related work has been dependent on so many variable factors. Depending on the data format and dictionaries in use, my findings have varied considerably from company to company, making work extremely frustrating at times,” said Ibo Mango. MICROMINE’s Geobank consulting team is offering the new coal data standards as part of its current client software implementations and is currently in the process of implementing this solution for various clients. John Miller is editor of The Asia Miner, a Mining Media International publication.